Renovation to historic venue's in-house bar/lounge/restaurant includes Prophile Series coaxial loudspeakers and VLF subwoofers. The Hotel Metropole Hanoi has a rich and storied history dating back to 1901 when it first welcomed famous actors, ambassadors and heads of state from around the globe. 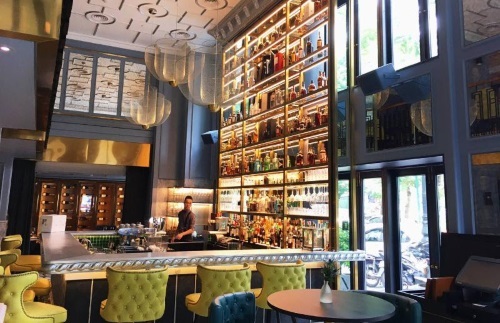 Due to the standing of this world’s first Sofitel Legend hotel, there was no shortage of vendors proposing audio solutions for the renovation of its bar-lounge-restaurant, angelina. 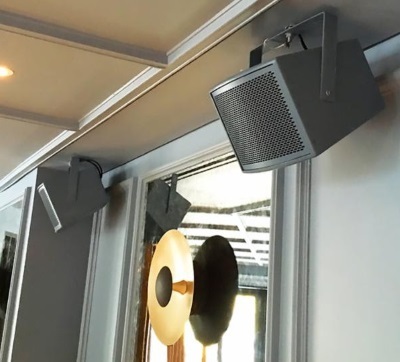 Based on their experience with other high-end Vietnamese venues, DesignLive Technologies was selected to implement a Fulcrum Acoustic loudspeaker solution for a sophisticated and discrete sound system. angelina’s highly reflective brass, decorative tile and glass finishes required careful engineering and clean, precise output to minimize reﬂections and ensure intelligibility. Compact loudspeakers were necessary to integrate into the venue’s tight ﬂoor plan without detracting from its interior design. “angelina’s distributed design creates an immersive 360° soundstage in the luxurious, high ceilinged, main cocktail bar area where the DJ is focused,” states Thu. “The closer quarters of the dining coves and exclusive whisky lounge enjoy a smooth, uniform audio experience with the Prophile P’s 100° x 100° coverage pattern.